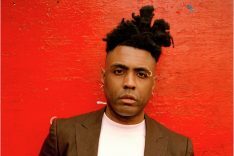 Since bursting onto the scene in the early nineties with singles such as There’s Nothing Like This and Your Loss My Gain, Omar Lye-Fook MBE has become recognised as one of the finest vocalists in British neo-soul. The recipient of the ‘Legendary award’ at last month’s UK Entertainment awards, his dedication and versatility have stood him in good stead through the years, as have the musical skills honed at prestigious music institutes and the life experience gained from a three decade career in the arts. Omar’s understanding of melody, along with music’s other fundamentals, was honed at music college and with his father, with whom he worked on his label Kongo Dance at an early age. 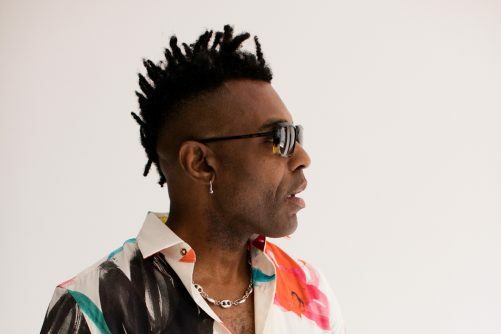 Having recently turned fifty, he’s now an artist with the knowledge and experience to assist the younger generation, which both he and Courtney Pine have done, with workshops and residencies to pass on their advice and help nurture the talent of young musicians. “I hadn’t actually thought about how it is that I do what I do, until it was time to explain it to other people” Omar states, referring to how his experiences as an artist and father have informed his mentorship. 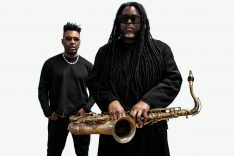 Omar joins Courtney Pine on the Black Notes from the Deep tour this week and beyond that, has plans for a television project and perhaps some new music. Pick up tickets for the tour here.